The NFL Combine has concluded, and now it’s up to the scouts to crunch some numbers to decide who they want to draft for the upcoming season. 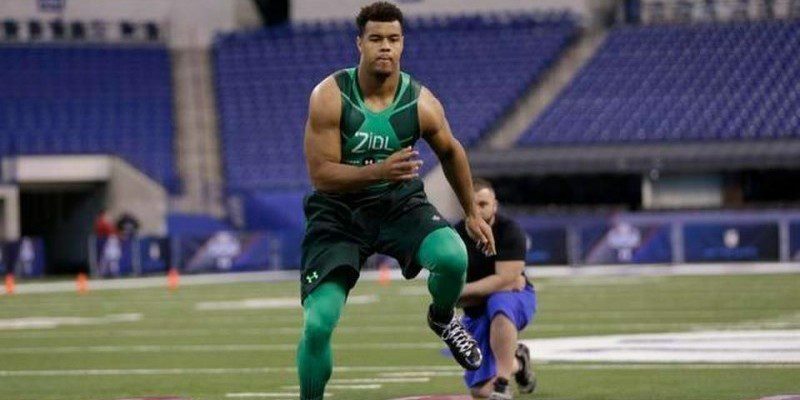 We all know Marcus Mariota did very well at the combine, which was no surprise. Jake Fisher did well, too, showing great athleticism. On the defensive side, three former Ducks participated in the combine. Although combine workouts, especially sprinting and jumping drills, generally mean very little, some people have been vocal about being underwhelmed with performances. In an article from AutzenZoo.com, Xavier Raymond discussed Arik Armstead, Tony Washington and Troy Hill’s combine results. Armstead is considered a crucial and extremely relevant player entering the NFL, mostly based on his size. Raymond was surprised by Armstead’s workouts. “His 40-yard dash and bench press both seemed worse than they should have been,” he wrote. Despite the results and the critiques of these former Ducks, they are all still very likely to be drafted. Armstead is still rumored to go in the first round, and Washington and Hill will probably not go so high but should still be drafted. Raymond explained that out of all the Ducks to participate in the combine, he thinks Fisher improved his draft position the most and that Mariota solidified his. Regardless of the projections, rumors and opinions of anyone outside the coaches and front offices of these NFL teams, there’s really no telling who’s going where until the clock starts moving come Draft Day.